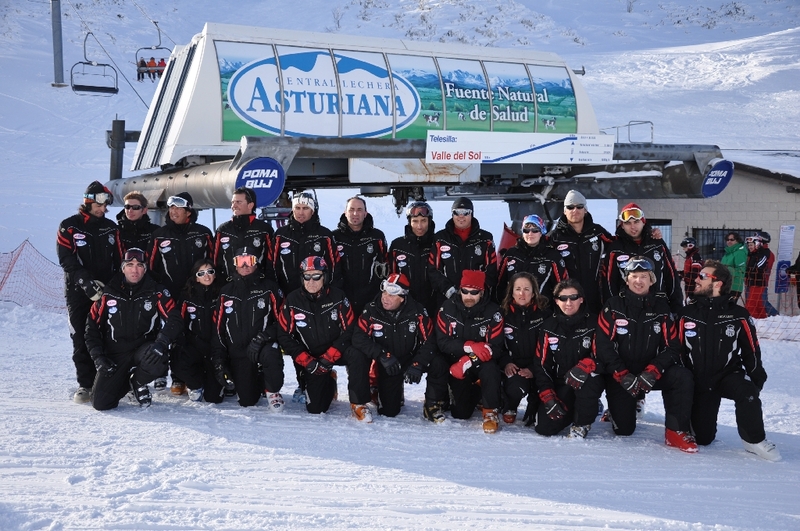 Escuela de Esquí Valgrande-Pajares is formed by a multidisciplinary team of experts with extensive experience in teaching and training in winter sports. It is a center that combines the traditional conception of ski school, with the latest functional and technical trends. Belongs, since its foundation, the Association of Schools, Teachers and Trainers Winter Sports (AEPEDI). Teaching skiing in the winter Pajares Station back to the forties of the last century. In 1941 and 1942, the Austrian professor Walter Foeger , one of the great technical of his time, taught and implemented in the Austrian style Pajares, who remains faithful. Also during the 1960s, other teachers, foreign and domestic, who for four seasons were devoted to training future teachers of the school were recruited. Driven by Jesus Suarez Valgrande , alma mater of the Station, the Ski School in 1965 Valgrande Pajares receives official approval from the Spanish Ski School, and began his labor activity Casimiro Fernandez and Fernando Bayon Herminio Menendez , its first director (1965/1970). From then until now, the school management rests with Ángel González de Lena . Today, the Ski School Valgrande Pajares, who will soon be half a century, is formed by a large team of technicians from different disciplines, some of which belong to it since its inception.